Tidewater tutors is a class act made up of caring, knowledgable men and women whose only goal is to see young people reach their goals and aspire for greater things!! Tidewater Tutors is one of the best companies to work for. The students are accurately paired with tutors for best results. I have had many students who have success in reading/writing comprehension as well as satisfied parents. I would recommend to anyone looking to improve their students academic performance and watch them excel. This is a good tutoring service it is great help. They are really good helpers. The people are very nice there, keep up the good work. Excellent tutoring services. 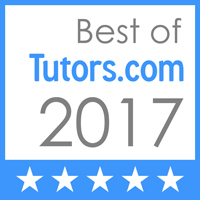 I would recommend Tidewater Tutors to anyone seeking a tutor or seeking to become a tutor. Very professional owner. Mrs. Spencer does her best to help out in all aspects of tutoring. This program is very helpful. So if your kid is slacking in a subject or subjects this program will help you with everything you need help in.